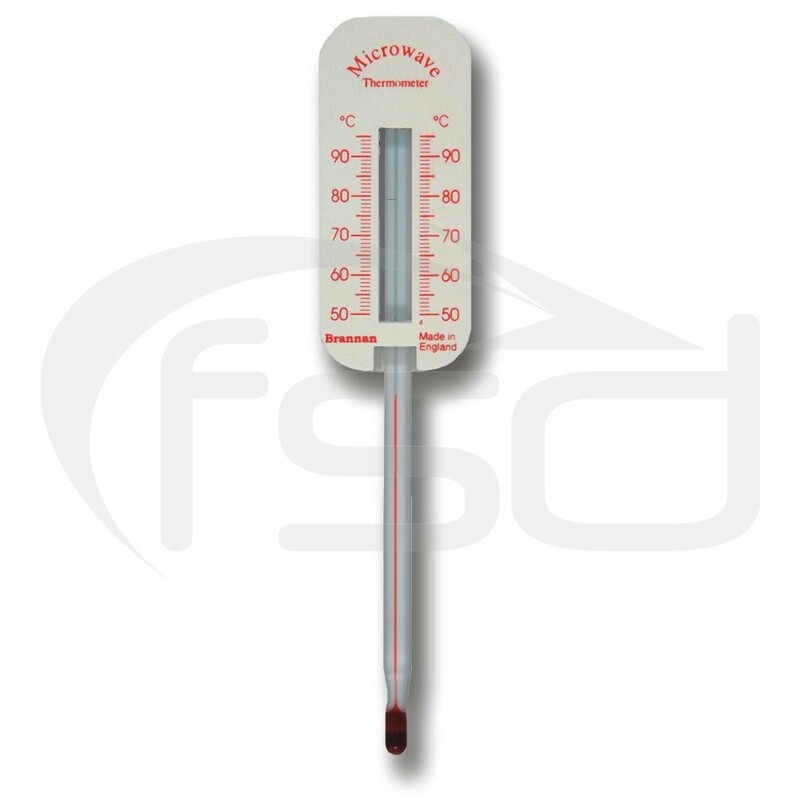 Microwave thermometer - this easy to use, spirit-filled, microwave thermometer is housed in a high impact plastic case. The microwave thermometer indicates temperature over the range of +50 to +95°C. The microwave thermometer is supplied with a skewer for insertion into food before placing the thermometer in the space provided. This thermometer provides a cost-effective and practical way to ensure meat and other potentially hazardous foods are properly defrosted or properly cooked to reduce the risk of food poisoning.